This is taper weekend. Maybe not for you. Runners spend months building up their endurance with ever longer distances. As the date of the marathon nears, runners begin to reduce the distance. There are a number of fairly specialized programs runners can follow. Many are free, just a few clicks away. Runners can purchase others with just one click. Tapering is a subset of the training program speaking to the last few weeks of the complete regimen. A quick google will enumerate a number of tapering ideas. I didn’t taper with three and two weeks left. That appears to be the prescription. I began this final week. I do subscribe to the notion that tapering improves race day performance. I’m going with it. I generally set my running goals for the year. I don’t look to a single race to totally achieve that goal. I judge the year at the end. I believe we are near the end of the year. By my count, I’ve only had three events so far and they were all last winter. First January, then February, and another in March. Karen and I were out on snowshoes more than that. 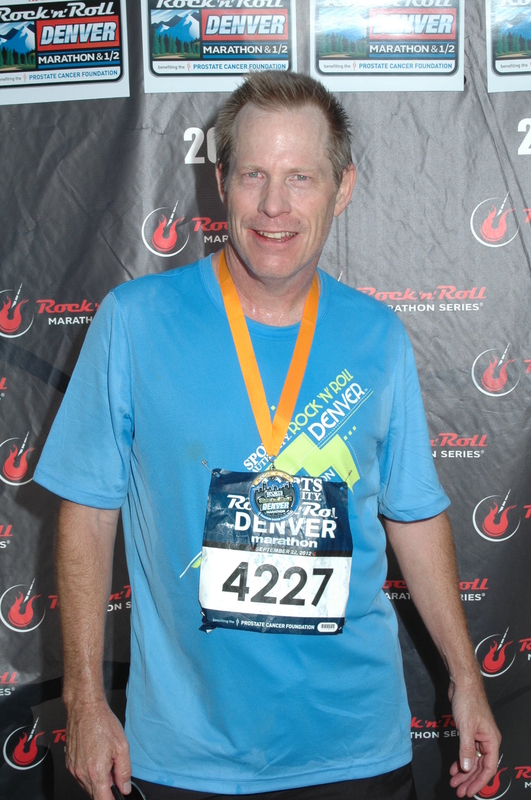 Plus, I don’t have any runs planned after the Denver Marathon. That does makes this the end of the year. I’m going to heed the advice of magazine stories and taper this final week. I’m not targeting a specific time but I want to run strong and feel good doing it. I’ll be taking measure of my nutrition plan for success in this. I expect to run an 8:30 pace, which would be fast for me. At 165, I feel like I’m in racing shape. I ran 12 miles today on the LoBo Trail, rather than my typical 18 to 20 miles for a Saturday. And I won’t exceed 6 miles for any one run over the next week, as opposed to my standard 8 mile run. Now that I’m thinking about it, I expect to taper down to 4 and 3 miles as I approach next Friday. I’ll run 3 miles Saturday too because I believe in working out the day before a big race. Too late to condition of course but it primes the pump. No one workout will be critical the final week and it won’t hurt to miss a day, but I feel good having a light run the day before. Nutrition is one of my marathon goals. The sort of goal that spans several years. My concern is more around storing sodium, potassium and magnesium. And hydration. From what I’ve read, runners don’t necessarily want to load up on sodium, but I still want to consume it in sufficient quantities. The only vitamin I take is D3, at the advice of my doctor. I’m eating bananas for breakfast to load up on potassium and magnesium. This will address my proclivity for muscle cramps. I’m eating a ton of Kale from my garden. I don’t have a sodium supplement. Do they make one? Is it called salt? I don’t salt my food much after cooking – if I cook – but I’m a big fan of that substance. I’ve never latched on to taking supplements, other than my D3. I find them complicated. I would not have fared well on Lance’s bike team. I also plan to hydrate. I started today. Just after the beer my haircut lady gave me. I enjoyed the shorter run today and having more time and energy for other weekend activities. Idle feet are the devil’s workshop. I got my hair cut. I downloaded Ken Follett’s trilogy completion. I stripped peeling paint off the carriage house. I’ll paint it tomorrow, first with primer. Fixed Ellie’s broken iPhone screen for $139 (tax incl.). An ounce of prevention, but seriously – my parents didn’t have unplanned smart phone expenses when I was a kid. Add that to the car. 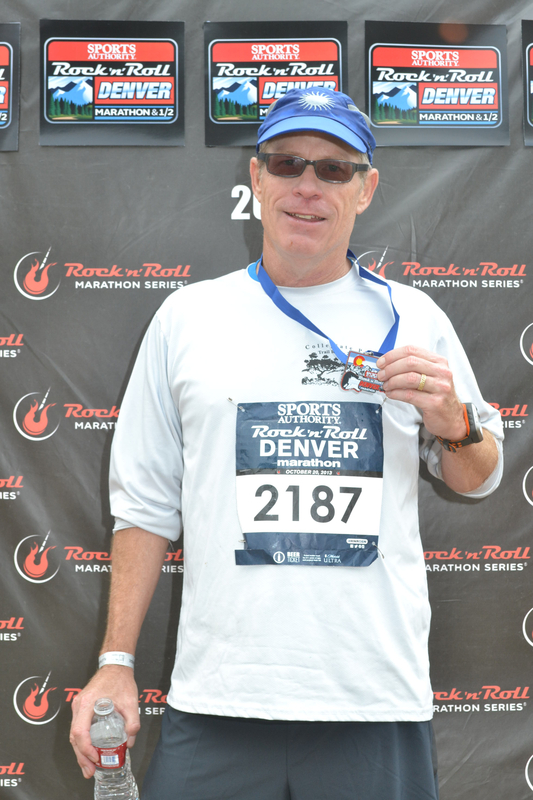 This will be my 4th Denver Marathon. 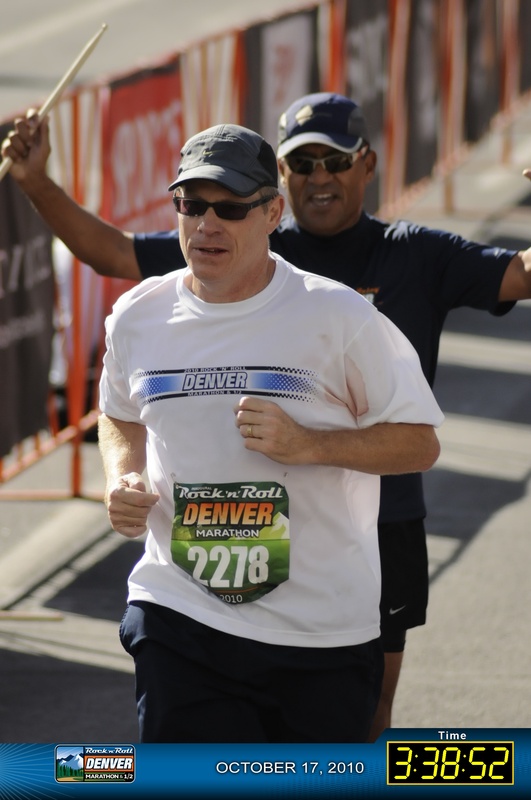 The full res photos from top to bottom are all Denver Marathons: 2013, then 2012 and to the left is 2010. Take care of yourself this week and good luck next weekend! Thanks Becky. Pretty excited for this. run. I’m getting pumped buddy. I looked up the time for a guy at work that ran the Chicago yesterday. It was his first marathon, and I think he was shooting for 3:45. Crushed it with a 3:26! Tis the season for fast finish times. Good, I could use a seasonal push.